THE TALK hosts venture down the rabbit hole to a magical wonderland to celebrate Halloween! 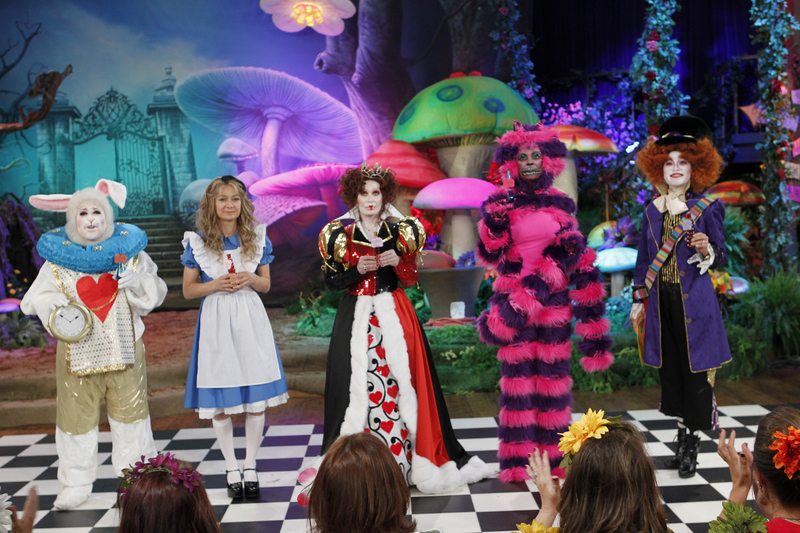 THE TALK's "Alice In Wonderland" themed Halloween show airs Wednesday, October 31, 2012 on the CBS Television Network. Sheryl Underwood, from left, Sara Gilbert, Sharon Osbourne, Aisha Tyler and Julie Chen, shown. Photo: Cliff Lipson/CBS ©2012 CBS Broadcasting, Inc. All Rights Reserved.